Start oiling up the mitts and start dusting off the cleats… baseball is back, and with it Fantasy Baseball. With Opening Day only 5 days away, many of you will have your fantasy baseball drafts this week. Like in all fantasy sports, that first pick is the pivotal one so without further adieu, here are my Top-10 position players for the upcoming Fantasy Baseball season using Roto scoring. Agree? Disagree? Let us know in the comments section. Be sure to check back with HBT Sports throughout the fantasy baseball season for fantasy advice for both Roto and Points-based leagues. For pitching advice, check out HBT’s Top-10 pitcher and Top-5 Bullpen rankings here. To see some 2016 Mid to Late Round Fantasy Baseball Keepers, check it out here. Rundown: It’s hard to overlook his MVP performance. 42 homers, 99 RBIs, .330 average, 172 hits at 23 years old. Don’t over think it. I expect even more from this phenom. 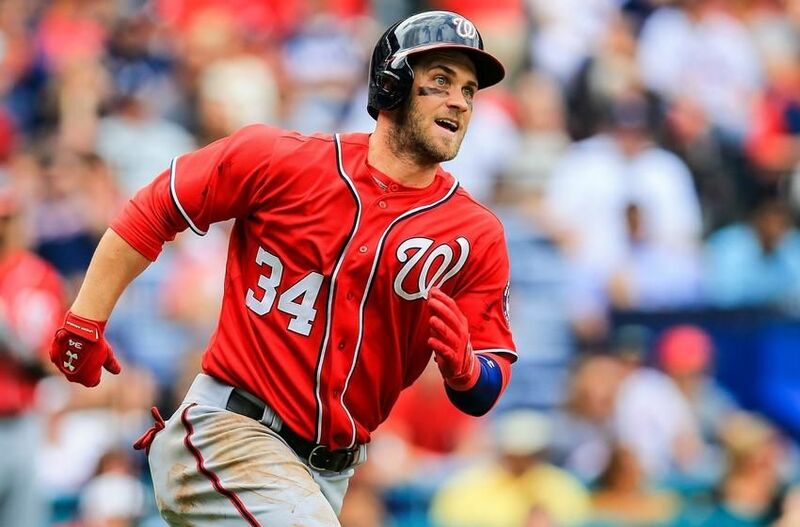 Rundown: In his 4 full seasons he has never had less than 27 homers, 83 RBIs, .287 average, 11 steals, and 104 hits (led the league in his first 3 seasons). Last year was a career high for homers and, like Harper, he should only get better from here. This 24 year old is showing why there’s a split between Trout and Harper fans as to who is the face of the MLB. Rundown: Including his shortened 2014 campaign, the past 3 seasons he’s at least hit .300, with 19 home runs, 69 RBIs, 9 stolen bases (21 last season), and had 122 hits. 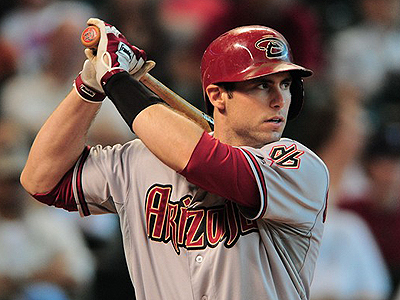 When Goldschmidt is playing a full season he is an absolute beast. Arizona has beefed up their team so expect more of a supporting cast to set him up more often. Rundown: Donaldson had quite the 2015 season. 122 runs, 41 homers, 123 RBIs, 6 stolen bases, and 184 hits. The reason he’s not higher is because he is 30 years old and despite an amazing 2015, his career shows that he’s more of a 20-29 home run hitter, good for about 95 RBIs, a handful of steals, and a sub .300 average. That of course was when he was with Oakland, so maybe history will repeat itself and he will duplicate the monster season he had last season in Toronto. Plus with that lineup surrounding him I wouldn’t bet against it. 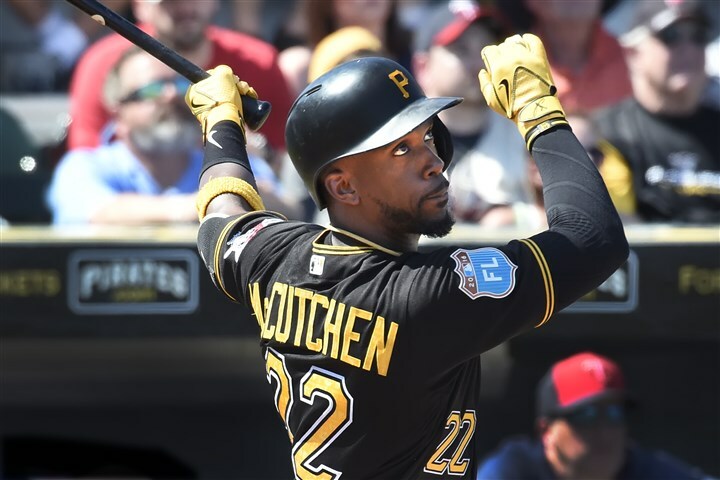 Rundown: Cutch is Mr. Consistent. Since 2011 he has consistently produced 20+ homers, 80+ RBIs, 10+ steals, and .250+ average (above .290 every year since his .259 in 2011). If you’re looking for a safe pick, McCutchen is your man. Rundown: If Cutch is Mr Consistent then Arenado is Most Improved. Since coming into the league Arenado has improved year to year culminating into a MONSTER 2015 in which he batted .287, had 42 homers, and knocked in 130 RBIs. Arenado is not higher on this list because he plays for the lackluster Rockies and last year was his first true breakout performance, but if history is ever an indicator it shows to grab this guy if you can. And playing half of your games at Coors field is always a nice little bonus. Rundown: Stanton is a bonafide slugger, but the issue is his health. In 6 seasons he’s only completed a full season twice, but when he plays he puts a hurting on the ball. He has never hit less than 20 homers (including the 27 in 74 games last season), 59 RBIs (rookie season), and 74 hits (last season, so 27 of his 74 hits were homers). He averages 30 homers, 77 RBIs, and a .270 average. If he can stay healthy he can do damage. In his last full season (2014) he hit a career high in homers (37) and RBIs (105) while swiping 13 bags. And now he has Barry Bonds as his hitting coach. That can’t hurt. Rundown: Over 20 homers in 3 straight seasons, over 30 in the last two show how good Rizzo’s bat can be. 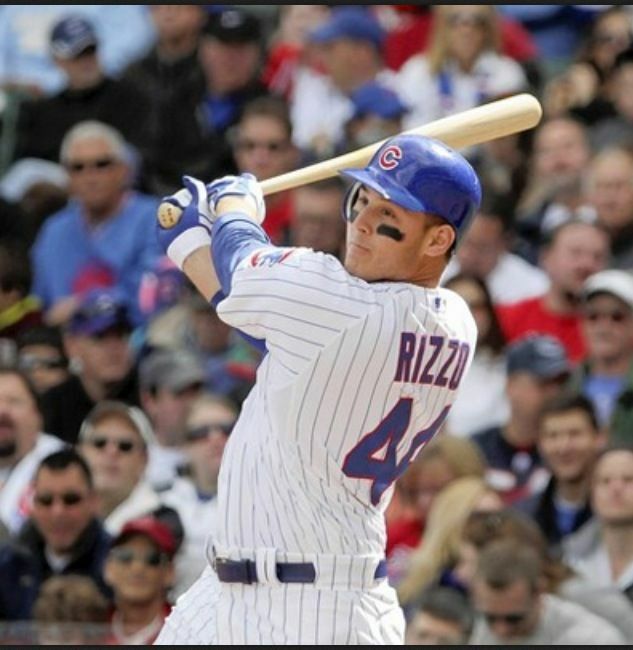 Last season Rizzo had a career year, totaling 31 homers, 101 RBIs, 17 steals, and a .278 batting average. Given that Rizzo has trended upward every year since entering the year and given the stacked Cubs roster I continue to expect big things from the lefty. Rundown: In his first full season Betts showed why he is the future in Boston. With a great blend of power, speed, and average last season Betts hit 18 homers, knocked in 77 runs, and stole 21 bases all while batting .291. And although it doesn’t mean much in fantasy, the man flashes some serious leather. Like the rest of the youth on this list, I only expect these numbers to get better. 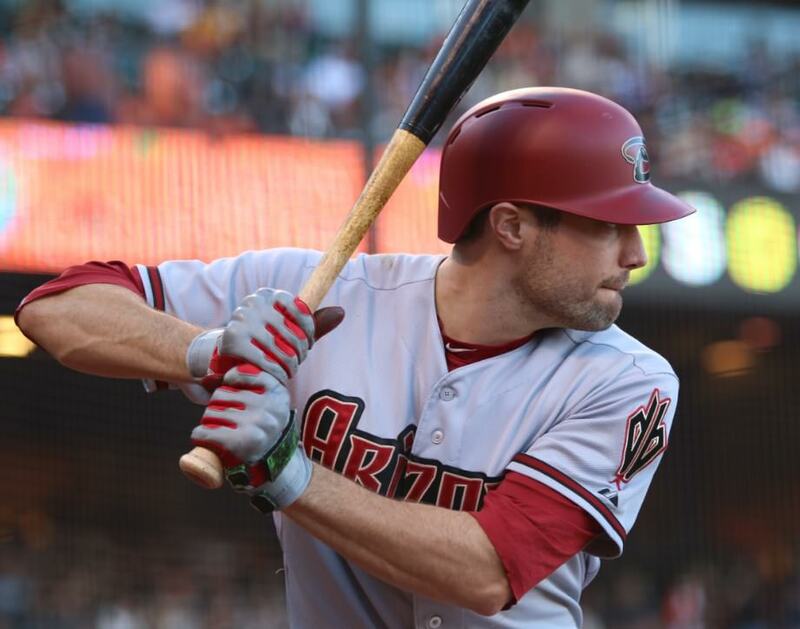 Rundown: The 2nd Diamondback on this list has hit over .300 back to back seasons. He’s so low on this list because he had his first All Star caliber season last year where he batted .315 with 20 homers, 76 RBIs, and 39 steals, all career highs. There’s nothing to say he will 100% duplicate it, but he is trending in the right direction. If you’re looking for plus speed to go with a good bat with some pop then he’s your guy.